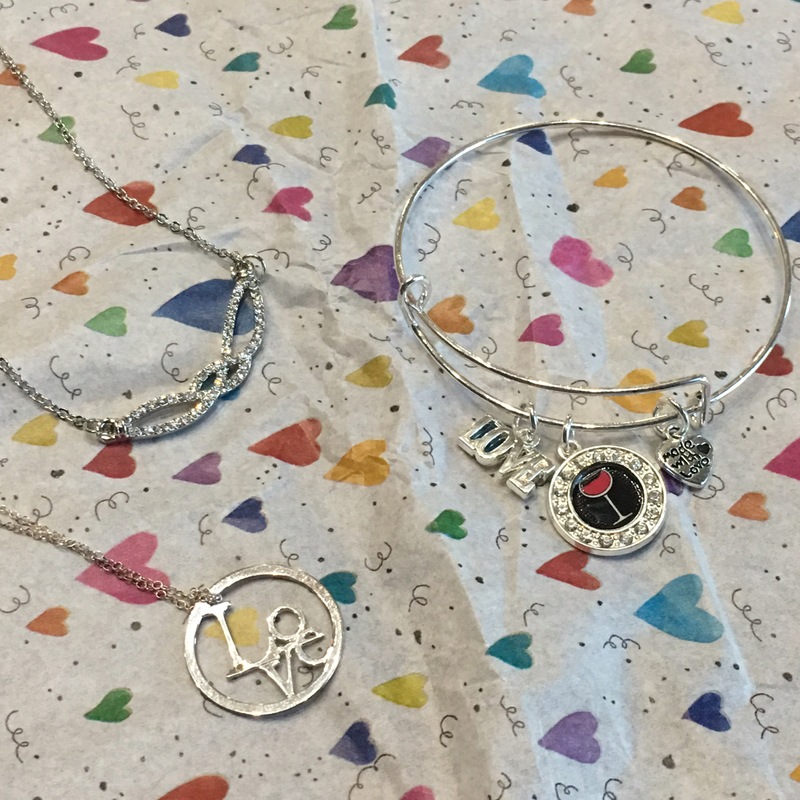 Have you heard of Inspired Silver Jewelry Club? Well, if you haven’t let me tell you a little bit about it. 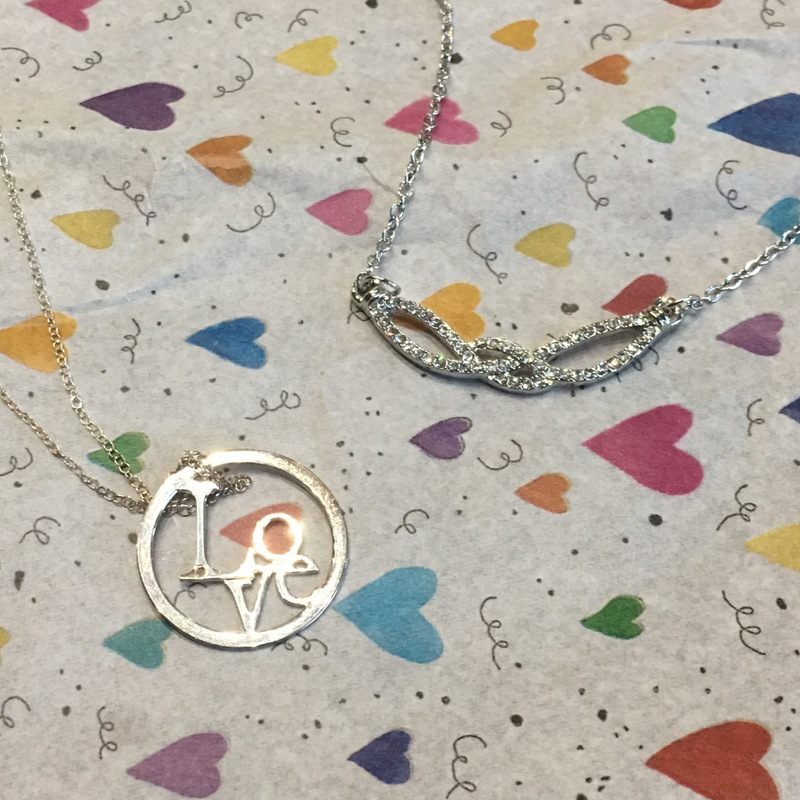 Inspired Silver Jewelry Club is a monthly subscription service for jewelry! 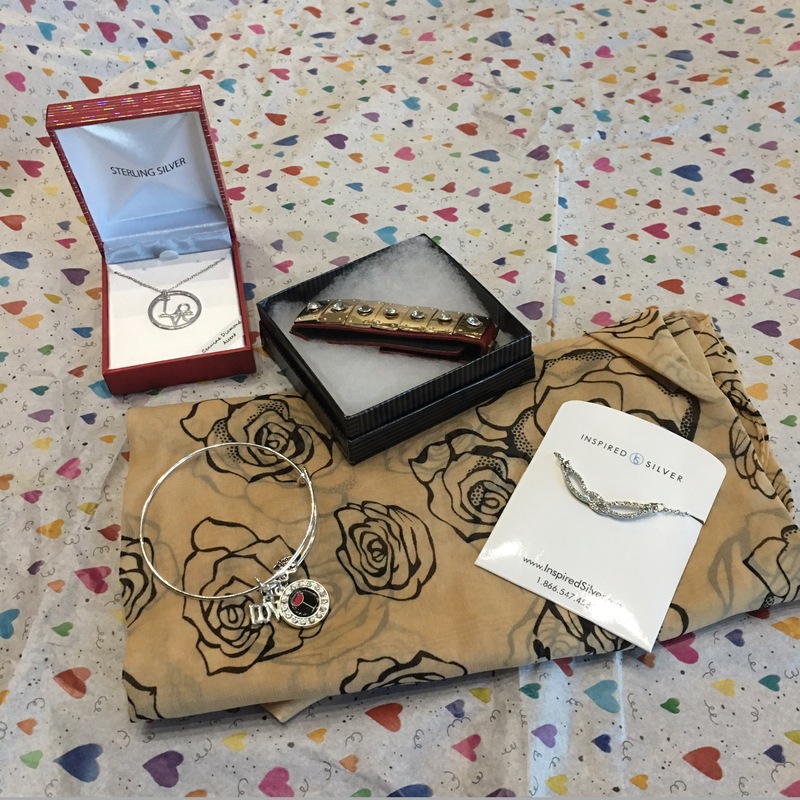 Each month, you’ll receive a box full of jewelry for $24.00. You can cancel at any time. But after you receive your first box I’m sure you’ll keep ordering. Each month, 4-5 pieces are sent to you. This month I received a beautiful beige scarf with roses on it, perfect for the Valentine’s Day! I can wear it with so many outfits. It’s an extremely versatile piece to add to my accessory wardrobe. Next up, a leather bracelet with gold plates and jewels. This is a nice casual piece that will add a pop of color to your outfit. The other bracelet was a charm bracelet. There were three different charms on it. I liked how they jingled together while I was wearing them. There were also two necklaces in this months box. One had a pendant of the word Love. It’s simple and perfect for Valentine’s Day. It’ll also go with lots of outfit choice. I can wear it with jeans and a t-shirt or a nice dress. It works with both. The second necklace was a tad fancier. I loved how much it sparkled in the light. For $24 I thought this was an amazing deal! Nowhere else would I be able to purchase 4 pieces of jewelry and a beautiful scarf for that much. For the price of one piece of jewelry, I received 5 new accessories. Now, if you are thinking this may be too much to receive every month think about all the gifts you could get out of the way. Each piece of jewelry comes in it’s own packaing, perfect for gifting. If you have a large family or buy for many people during the holidays I would suggest ordering the Inspired Silver Jewelry Box. You can save the pieces you fall in love with and give the rest away. Stocking stuffers? Use a few necklaces or bracelets. Hostess gift? Wrap a scarf around a nice bottle of wine. With the selection you receive every month, the possibilities are endless. Sing up for Inspired Silver Jewelry Box today. Your subscription will automatically renew each month. Canceling is very easy, just log on and hit the cancel button. Very easy. If you sign up for a 3-month subscription, or longer, I even have a code that will save you 50%! Use code HALFPRICE at checkout and save.